In another example the financial services industry converging fiat and digital currency, Visa today announced a debit card that will allow users to buy things using fiat money converted from cryptocurrency stored in online wallets. 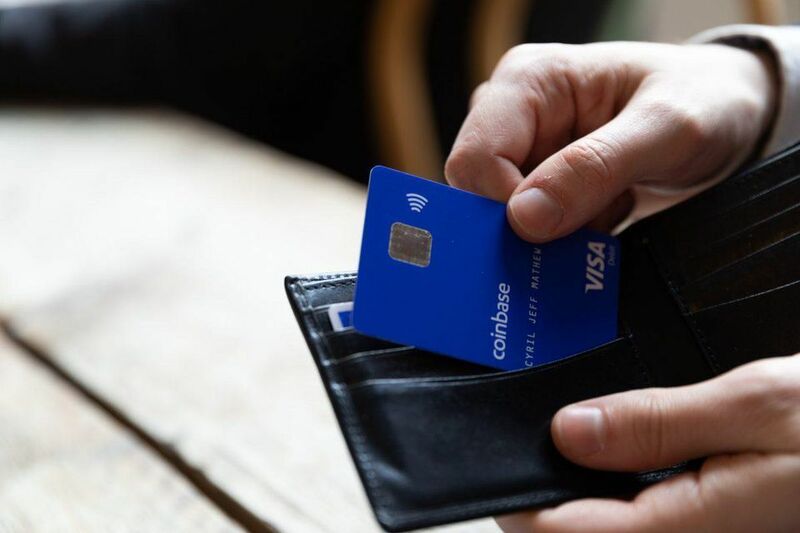 The new Coinbase Card it is directly tied to the a person’s cryptocurrency balance in digital wallets managed by the eponymous digital currency exchange. Coinbase enables the trading of Bitcoin, Ethereum, Ripple’s XRP and Litecoin, all of which will also be spendable through the new debit card. Visa, one of the world’s largest payment processors, said the Coinbase Card will allows users to “spend crypto as effortlessly as the money in their bank” and make cash withdrawals from any ATM. The cryptocurrency will initially be converted into British pounds, Euros or U.S. dollars. An Coinbase Card mobile app will allow consumers to see spending summaries, transaction receipts, and get instant notifications. Visa brings with it not only its enormous merchant base but world-class security, which includes two-step verification and the ability for users to instantly freeze their card if it’s lost or stolen. Two aspects of cryptocurrency that traditionally make it more expensive and slower to use than fiat currency or credit cards is the miner fees (money paid to Coinbase to incentivize bitcoin and other miners to confirm transactions), and the confirmation time to clear a purchase. Blockchain, the electronic ledger technology on which cryptocurrency relies, requires each transaction be verified through a consensus of those using it before it is finalized. The current bitcoin transaction fee is about $2.06. “It could take an hour to for a merchant to know if the transaction’s successful,” Litan said. To artificially speed up the transaction, the payment processor (Visa) will likely give instant approval and take on the liability if something goes wrong with the transaction. While Litan does not believe there’s a real market in the U.S. for retail purchases through bitcoin or other cryptocurrencies, she does think the Coinbase Card could see adoption in “other economies,” such as some African nations, China, Russia or Venezuela, where inflation is extremely high, consumers don’t have bank accounts or where they’re attempting hide their money from the government. Whether successful or not, the Coinbase Card represents the genesis of bitcoin. Satoshi Nakamoto, a pseudonym for a person or group of people who created bitcoin, established the cryptocurrency as a method of electronic payment – not as a currency to be traded on exchanges for its value. Earlier this year, J.P. Morgan Chase announced plans to launch its own digital token backed by fiat currency. Trials for the new cryptocoin are expected to begin in the next few months. In the crypto industry, an instrument like JPM Coin is known as a “stablecoin” because it has an intrinsic value, unlike Bitcoin or Ethereum’s ETH coins, whose value is based on supply and demand of virtual money. Once tied to a fiat currency, though, intrinsic value is created. Facebook is also reportedly looking into developing its own cryptocurrency for payments, a move that has the potential to make the social network billions of dollars while also helping to eliminate fake news and bots. Facebook has reportedly already spoken with cryptocurrency exchanges about selling its crypto coin to consumers; others believe the social media firm would not tie payments to a strict “cryptocurrency,” opting instead to use a stable coin backed by U.S. dollars and other fiat currencies. “All these things together may mean people sign up for wallets. This is going to make people more interested in cryptocurrency,” Litan said. “If you see more people accepting it… it will drive adoption. It could fail, but my prediction is it will drive adoption. (ZEC) Zcash Price Prediction 2019 / 2020 / 5 Years (Updated 04/15/2019): ZEC/USD About to Drop? Is a blockchain solution for Malta’s taxation system far-fetched?